We apologize but the Meltonian Water and Stain Protectant is no longer available anywhere in the marketplace. We have found the Wolverine Protectant to be an excellent replacement for the Meltonian Water and Stain Protectant. The Wolverine Shield Protector can be used as a stain and water repellent on all leathers, suede, and nubuck. This protector is also safe for all colors. Use this product to waterproof your Wolverine steel toe work boots, construction boots, as well as all other leather shoes in your closet. 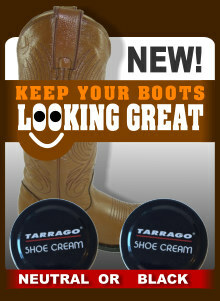 Protect the investment in your work boots and casual dance boots and shoes today!